I hope this is going to be my only post on my OTP regarding this issue because… I want to go back to Roy Qiu… why you so hot. I am just amused at how many are insisting that Mike walking with Rainie at the red carpet of the Star Party on Wednesday was a “friend trying to save a friend” from a scandal (the baldy rumors on Next magazine). Don’t people have ears? Or eyes to read the subtitles? It’s clear isn’t it? Key words: “no sparks”, “nonsense”, “brothers”. She hasn’t been this much clear as she was on this. I must say, her denial on the pig scandal: “MEI YOU.” (nothing), was short and sweet, but empathic. This one ends with “stop wishing us (to be together) because it’s like wishing brothers… (which is strange).” Did she need to spell that out? 1. Mike’s a friend who’s just helping a friend who’s in a scandal. >> First of all, why drag a “friend” to your own personal affairs? Or why let yourself be dragged to somebody’s problems, nevermind if she’s a “good friend”. And as the “good friend”, would you want to create trouble for your friend? And this is not just our ordinary lives people, this is the entertainment business where you should mind your own scandal! 2. Mike’s presence is aimed to distract from the scandal. >> Seriously? If Rainie wanted to clarify something–and obviously, she had it clear in her head what she wanted to say–why would she want somebody else’s presence there, knowing that presence will distract from the message she wanted to say? It. Is. Not. Logical. 3. 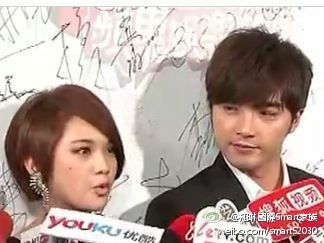 Rainie needed Mike’s help to distract the media and cover up the baldy scandal. >> Where’s the LOL button? Rainie has always handled her scandals on her own very well–from her tearful apology on her Japanese war gaffe, to clarifying the STD rumors with the pig (and if you are a fan of Rainie, I wonder why you would push her to someone who has only sullied her reputation) and now this. She is a strong girl. She can stand on her own and defend herself. Why need Mike–or someone else–to help her cover up? This is only applicable if she wanted to be evasive and was hiding something. She obviously did not plan of covering up. She answered the rumors and set them straight didn’t she? She said: no, nonsense, stop. But if people want to insist on the red carpet walk as an act of saving the damsel in distress, why, thank you for officially acknowledging that Mike is her knight in shining armor, the prince charming to her princess. Obviously, some people’s problem is having Mike walking with her and standing beside her while she did the clarification. No one likes being taken by surprise and RM took everyone by surprise. That’s their problem. Not my problem. Maybe they should blame Roy Qiu, why you so hot, instead. 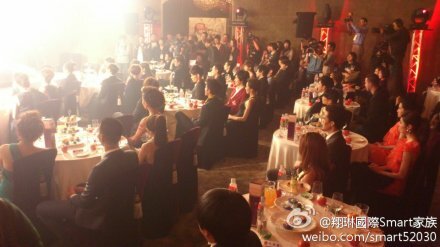 Because the media focused on Rainie and Roy appearing at an event seven years later. But anyway, can anyone help it? 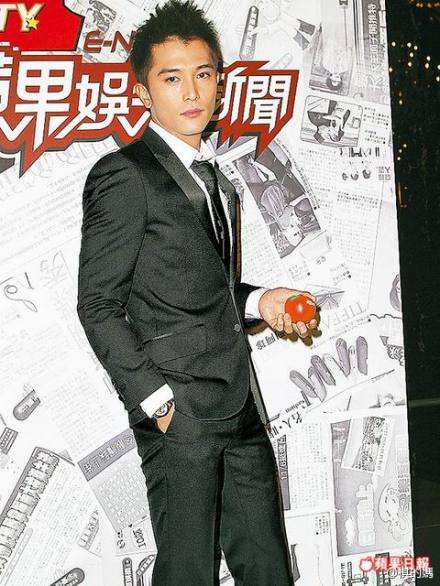 Because Roy Qiu… why you so hot? I bet, even Rainie is asking that. P.S. Someone answered to my “Roy Qiu, why you so hot” question on Weibo with: “Taiwan is warmer than the mainland.” Now, where really is that LOL button? !